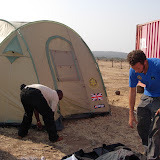 Click on the square below to view a photo album of scenes from when the organization ShelterBox (http://www.shelterbox.org) visited our community in Swaziland. The photos show scenes of distribution of the boxes to needy families in our area, pictures of some of the homesteads that were damaged or impoverished, and various shots of implementing the equipment- like setting up the small stoves that are used for heat and cooking. You can see in the photos that the people in our community are very grateful for receiving these simple gifts. As the Christmas season kicks into full gear, we want to remind you to let the spirit of the love and grace of Christ dwell in your heart and let it shine through your actions. Happy Thanksgiving to our friends, family, and supporters out there! One of the greatest things about the holidays is gathering together with friends and family. We in Swaziland feel grateful for having become friends with some United States personnel and other people working in Swaziland who are very supportive of our work. One of these people is Scott Mooneyham, who is the Regional Security Officer for the United States Embassy in Swaziland. He is good friends with Thom Krauss, another great guy who has visited Swaziland (and is an Ironman- see his website www.empoweranother.org). Scott is involved with a project that aims to reuse the wood from the crates that large items are shipped to Swaziland in, to make furniture for schools and for other charitable purposes. Above is a photo of Sicelo, one of our OVC kids, who is 19 years old, and currently in our “aftercare” program for kids who are older, but need help with learning job skills and finding a job before going out completely on their own. Sicelo has been doing work-study in our agriculture program, getting paid a stipend while learning maintenance and agricultural skills, for a year and a half. He lives on his homestead which is 3-4 miles away from our farm, but we’ve given him a bike, which makes the difference between a 10 minute bike-commute to work and a 1 1/2hr walk each way. He is planning to attend a trade school in Manzini in January 2008, and has shown a desire to learn carpentry. Scott has connected with Sicelo, and is looking into the possibility to get Sicelo a carpentry apprenticeship. It’s great that our network is growing in such a way. We’re building some new staff housing on the Mission, and Eric Olson has been chipping in to assist with this project. His wife works for the Peace Corps in Swaziland, and he has a construction background. Eric has been coming out to oversee the building project, advising our head of maintenance, and generally offering great help. Christine Stevens is the US Government’s HIV/AIDS Program Coordinator, otherwise known as the PEPFAR coordinator for Swaziland, stationed in Mbabane. With US resources, PEPFAR is able to help support Cabrini Ministries’ health care program. Christine is a great ally in our work to bring treatment to people with HIV/AIDS, and Cabrini Ministries has been chosen as a pilot site for an example of quality care at the community level. Many people have never heard of the small country of Swaziland. With all of the suffering all over the world, it is possible to wonder why we are working here in particular and not somewhere else. But there is very good reason- Swaziland is the face of a humanitarian emergency. This small country has the highest prevalence rate of HIV in the world according to UNAIDS- meaning 33.4% of everyone 15-49 has HIV. Also, in 2004, Swaziland had the lowest life expectancy of any country in the world- this means people are living to an average age of 31.3 years. In these times with treatment for diseases like HIV and TB available, it is just unacceptable that people are dying at 30 years old. Imagine what it does to a whole country if all the younger generations only reach the age of 30. This is why we have so many orphans, so much economic instability and poverty and hunger, and so much disease. It is a vicious storm of related factors that comes on over years, and takes years to repair, leaving us in the midst of a full-blown fever-pitch emergency. A new report by researchers Alan Whiteside and Amy Whalley of the Health Economics and HIV/AIDS Research Division of the University of KwaZulu-Natal in South Africa used the country of Swaziland as their example of how HIV/AIDS in southern Africa is indeed a “humanitarian emergency”- but unlike traditional short-term humanitarian emergency thinking, requires rethinking and a long-term response. Whiteside also makes the connection between falling social and economic well-being indicators in Swaziland with the HIV prevalence rate- basically, the more HIV in the country, the sicker the country will appear all around. Aid agencies like the UN’s IMF need to change thinking from fix-gap short-term solutions, to longer-term real solutions. (It is suggested that perhaps this emergency state in Swaziland could have even been avoided with more comprehensive prevention and treatment interventions earlier…!) NONE of the southern African countries or multilateral organizations have achieved their goals of universal access to treatment medicines (antiretroviral therapy drugs-ART). Fiona Napier of Save the Children in South Africa says that the impact of HIV/AIDS in southern Africa is “profound.” Indeed, when we are sitting with our hostel children who have all suffered some form of loss due to deaths of family members, and we hear their stories and see the effects this loss has on the children mentally, physically, and emotionally, we can agree the impact is “profound”- profoundly wrong. A person needs food, shelter, education, health, and love, and they are all needs that depend on each other to be met, and none can be neglected. This is why we’re here- in Swaziland, but also in the deeper sense- on Earth!- to help each other meet our needs, and be full, beautiful, healthy people. A week from now, the Cabrini Mission Foundation is holding its annual Gala in New York City. Click on the link above to find out more information about this event. This year, the work in Swaziland is highlighted, and there will be a short presentation and slideshow given by Sr. Barbara. Sr. Barbara is currently on a spiritual retreat and looks forward to seeing everyone that can make it to the Gala next week.